If you’ve ever considered long-term travel, you’ve probably thought about what a big deal that could be for your finances. Have you ever thought about backpacking through Europe? Moving to another country to teach English for a few months? Doing relief work in a different part of the world for a year? Last year, NWCU employee Mariah decided to undertake a huge trip: hiking the Pacific Crest National Scenic Trail (known as the PCT), which stretches 2,660 miles from the Mexican border to the Canadian border. 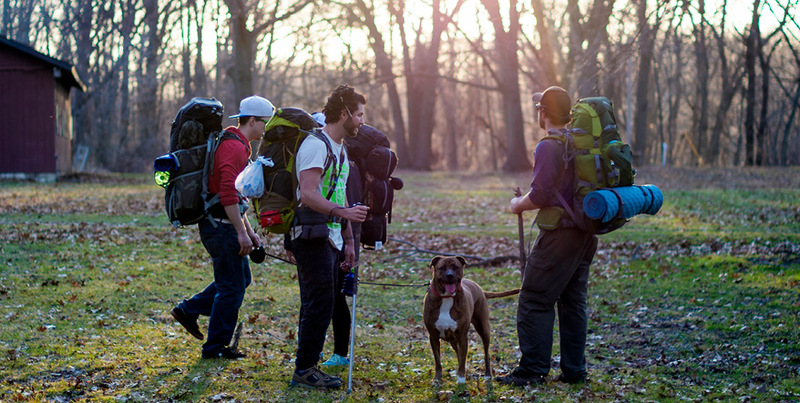 This is known as a “thru-hike,” which is when you hike continuously from point to point, usually for a long period of time. So Mariah, who is a self-described planner, set out to create a financial plan that would allow her to take on this adventure. She spoke with her supervisor to get an approved leave of absence, worked with her Human Resources department to strategize vacation days and health benefits while she’s on leave, and then had to make a plan. Mariah tallied up her bills and trail costs for the six months she’ll be hiking and got one big number. Then she broke that number up into monthly savings goals for herself. Giving yourself a concrete goal helps—clear, specific goals are attainable goals. She then built a spreadsheet to easily track her progress toward her savings goal and updated this spreadsheet every month; monitoring your progress is a way to gauge how you’re doing. In order to meet her monthly goals, Mariah started changing parts of her lifestyle to cut down on expenses. She stopped renting and paying bills for a two-bedroom house and moved into a house with several roommates, which cut down on her rental and utility bills. “I have a yoga clothes subscription that I love, but I put that on hold, because as soon as I realized how much I needed to save every month to reach this goal, I knew that I had to change parts of my life style,” Mariah says. She also put as many bills on hold as she could. Subscription services are really easy to do this with, so Mariah temporarily stopped subscriptions to things like Netflix, internet, and yoga studio memberships. Mariah shares that any extra money she received (think things like your tax return, side gigs, or money a friend is paying you back) into her savings. Mariah kept her eyes peeled for sales, never buying anything for her trip at full-price. “Because I was planning so far in advance, I knew all the gear I’d need and so I started keeping my eye out for discounts and sales and buying used,” she shares. It’s rare that you can work with a company to put your bills on hold for something like this. While planning for her trip, Mariah realized that though she’s taking time off, her bills aren’t. “I have bills that I can’t put on hold, like my student loan, phone bill, car payments, or car insurance—I can’t just put that on hold for six months, you know?” she says. One way to ensure all your bills get paid while you don’t have a permanent address or if you’re traveling long term (especially overseas) is to set your bills to receive automatic payments (often called auto-pay). Many companies offer an auto-pay option in their online payment portals. If you’re not sure how to set it up, give the company a call and ask them to walk you through it (or set it up for you). Another way to automate your bills is to use Bill Pay in NWCU’s eBanking system. Log in to eBanking and set up fixed, recurring bills to automatically draw from your account. Mariah set many bills up to autopay from her Northwest Rewards Visa card, and then set her NW credit card on autopay, so she’s earning rewards points on bills she has to pay anyway! If you’re uncomfortable with the auto pay process, you can also try using apps. Companies like Comcast, cell phone providers, insurance companies, and more offer mobile apps that allow you to pay your bills using the app. Make sure you have data to use or can access secure WiFi! Follow Mariah’s PCT trip on our Instagram account (she’ll be sending status updates as she goes), or follow Mariah’s Instagram account and hashtag. You can also learn more about her on our blog!